Today we are going to talk about our favorite footwear called sneakers. In this article, I am going to show you best street style ways how to rock these shoes in real life next Winter without worrying about your look. 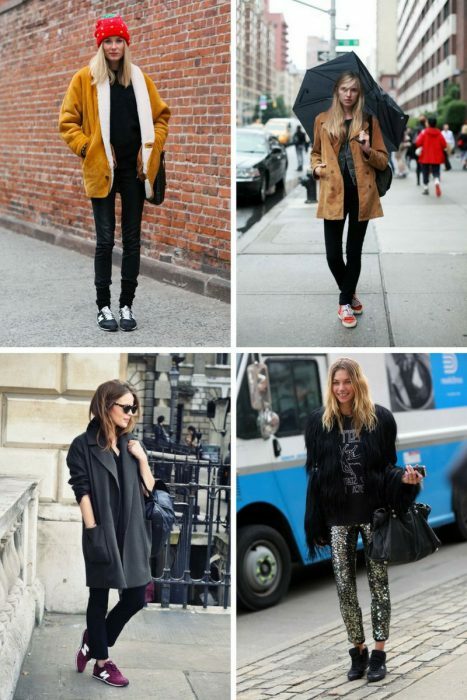 Yes, you heard me right, we can rock this footwear during cold season and still look and feel GREAT! I don’t know about you, but I always refuse to let go these shoes, regardless of weather. They are extremely comfy, chic and Tomboyishly cool. 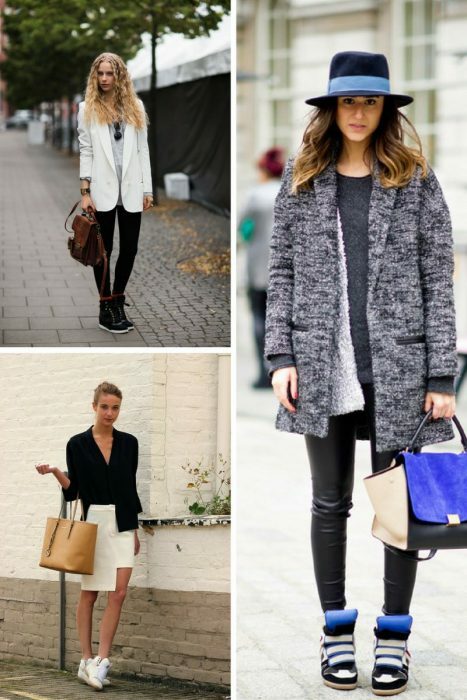 Kicks look good with absolutely anything, starting from dresses, to trousers, skirts, and shorts. 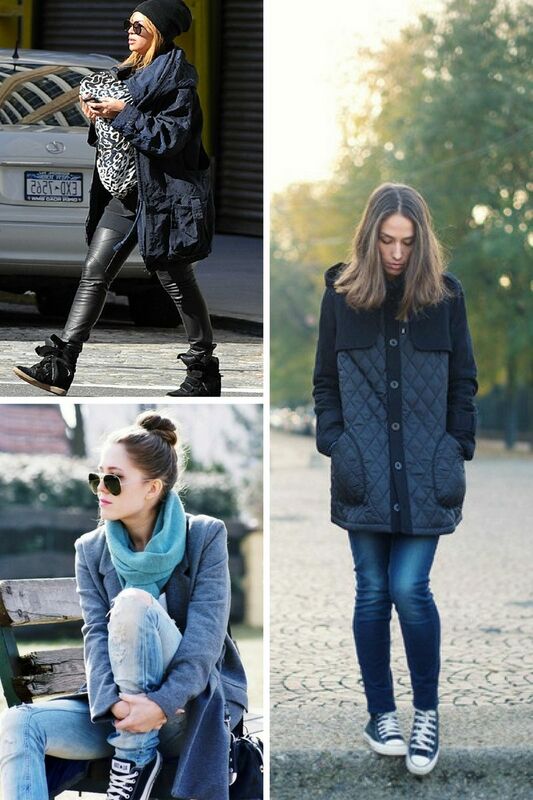 I love to see cool sporty sneakers with jeans, leggings, leather trousers, and tailored pants. They can look both feminine and edgy. 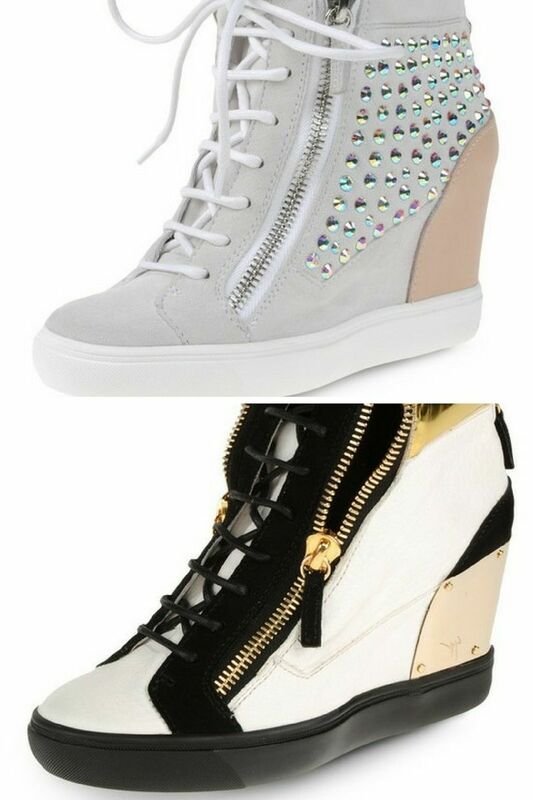 You are free to choose whatever sneakers style you like, let it be wedges, high or low kicks. There are fun, easy and simple ways how to rock them anywhere you want. 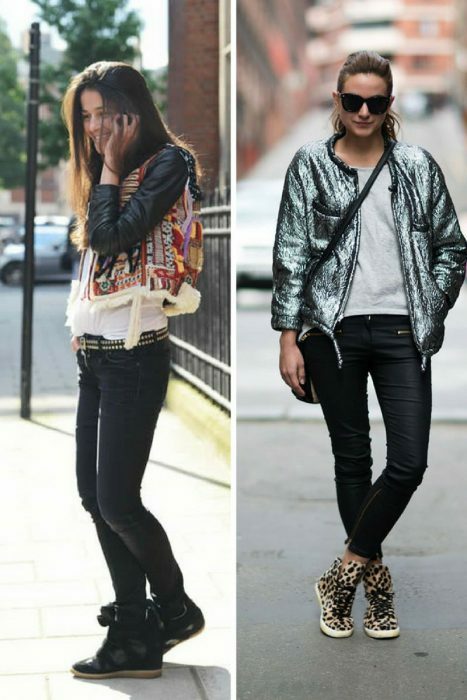 Wedge sneakers can go with skinnies, skirts, and shorts with tights, and you are free to add whatever top and jacket you like. There are kicks for almost any taste. 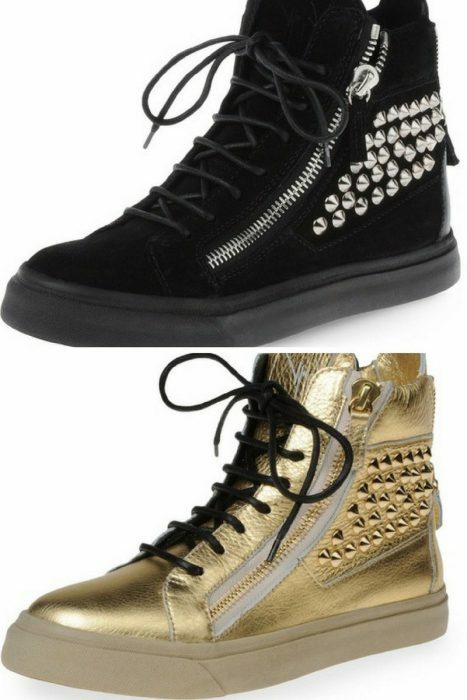 If you are more into a punk look, then you are free to choose converse sneakers embellished with studs, spikes or whatever you like. By the way, spiked sneakers look awesome with cut-offs, tights, slouchy top, and leather jacket. I adore people who have a casual dress code at work, as they can easily go for kicks during office hours by teaming this footwear with almost anything they like, like skinny trousers, basic blouse and a blazer on top. The result looks amazingly chic and smart. Don;t take things too seriously, just have fun and enjoy your life!